Do you remember when WWJD bracelets were popular? I was in junior high school and just had to have one. Actually, I wanted several in a variety of colors to go with every outfit I wore. The bracelets asked the question, What Would Jesus Do? They were physical reminders to live like Him throughout the day. The question is, how can we follow Jesus’ example when bad things happen to good people? Jesus, more than anyone else who ever walked this earth, was a good man to whom bad things happened. He was perfect — sinless. He was the only one who could honestly cry to God, “This isn’t fair!” and be right. That is why it is so important to look at Jesus’ response to His suffering. He did three things when He knew His death on the cross was approaching. The first thing He did was pray. Some of us do this naturally. When we face a difficult situation, we go to the Lord in prayer before we do anything else. Others of us, especially if we feel God has let us down in the past, are hesitant to bring another request before Him. What if He doesn’t answer again or worse yet, what if He does answer, and I don’t like the answer? Jesus didn’t give in to those questions. When He faced an unfair trial, He brought it before His Father in prayer. Jesus also submitted to the Father’s will. Jesus didn’t want to go to the cross. He begged God to come up with another way to bring salvation to the world. But when His Father said no, Jesus submitted Himself to God’s plan. A few weeks ago, I attended a conference for moms, ministry leaders, and mentors. During the conference, one of the speakers challenged the audience to surrender their plans to God. She dared us to let go of the plans we were clinging to and grab hold of God’s plan for our lives. I didn’t have an answer for Satan then, and I don’t have one now. I don’t know if God’s plan includes us getting a baby. I don’t know if His plan is painful. But I do know this. If God’s plan is painful, He will help me through the pain and use it somehow for my good. If His plan hurts, it’s because there’s something better on the other side of the pain. A third thing Jesus did when He faced the most unfair event imaginable is He cried out to God. With these words, Jesus cried out to the One who put Him there. The cross was God’s plan from the beginning. It was the reason Jesus came to this earth. Regardless, even though God the Father was the One who planned the pain, God the Son still called out to Him. Jesus endured the pain because He knew what was coming next. He knew what His Father had waiting for Him on the other side of His death. We can have that same confidence. We might not know how His plan is going to unfold for our lives on this side of heaven, but we do know how it’s going to unfold on the other side. Eternity awaits us. Nothing Satan throws at us in this life can change that. We have hope, not because of our certainty in this life, but because of our certainty in the next. WWJD bracelets might have only been a fad, but this call to be like Jesus is not going anywhere. Sometimes, being like Him means submitting to a painful plan. The question is, are you willing to submit? 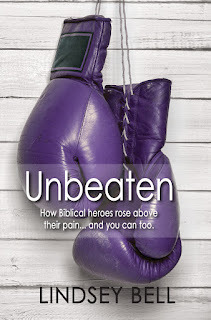 Unbeaten is an uplifting devotional that shows that God is with us even during the hardest times. In this ten week study, Lindsey Bell draws from biblical stories and her own testimony to encourage readers to live unbeaten. The devotions are the perfect length for a busy stay-at-home mom like myself who has very little downtime. I also loved the journal questions and prayers at the end of each chapter because they reinforced the lesson and allowed time to reflect. I highly recommend Unbeaten to anyone looking for daily encouragement in their spiritual walk. 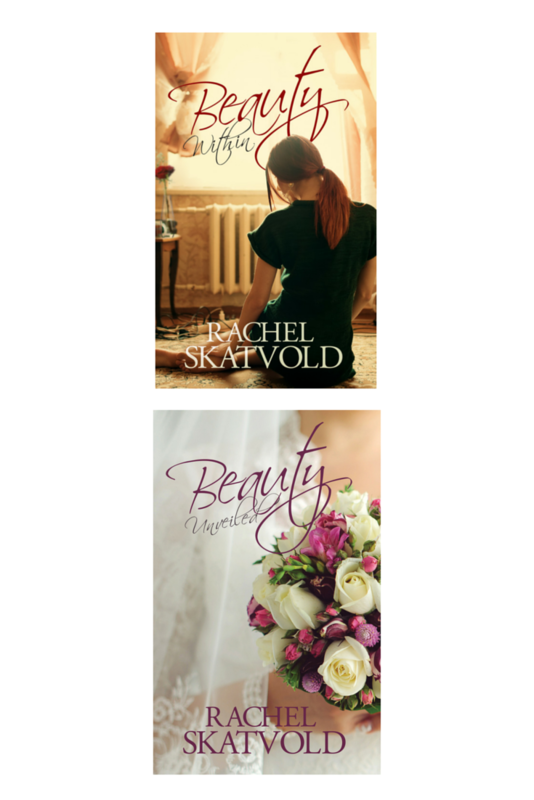 To celebrate her book, Lindsey is giving away a HUGE bundle of books! Leave a comment on this post to be entered to win. You can get more entries by commenting on other blogs in the tour as well. Get a full list of participating blogs here: HERE. 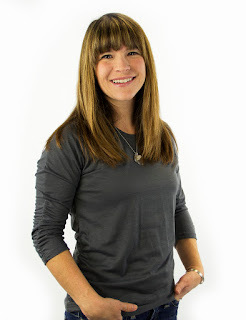 Thanks so much for sharing about Unbeaten on your blog! !